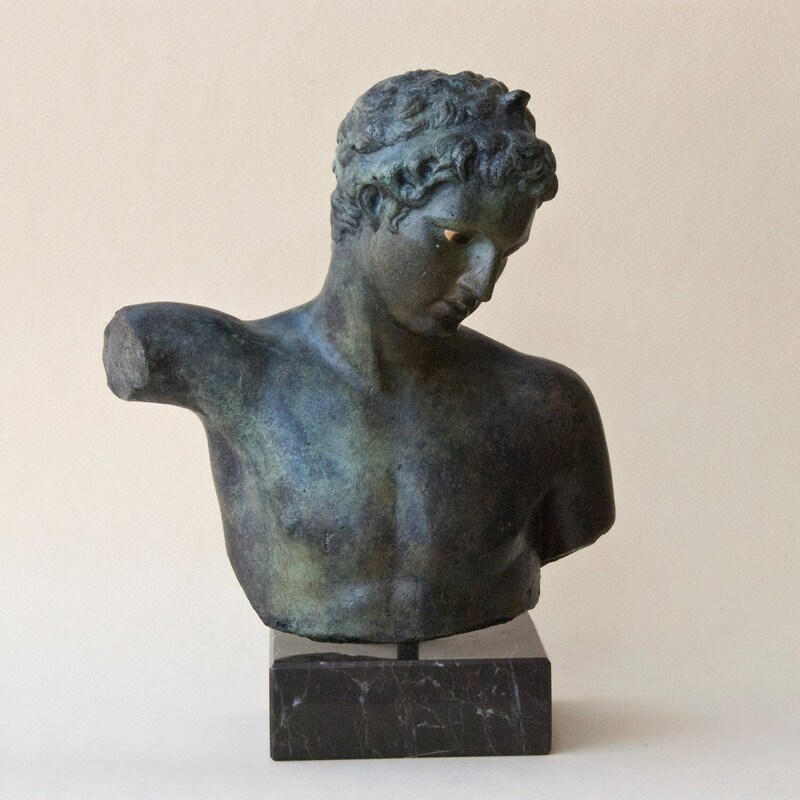 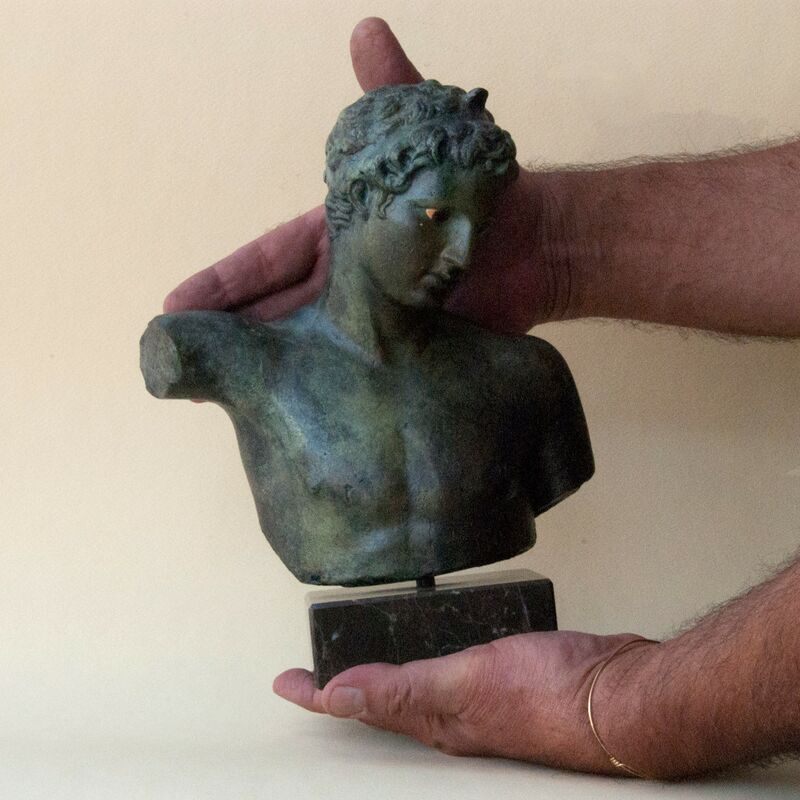 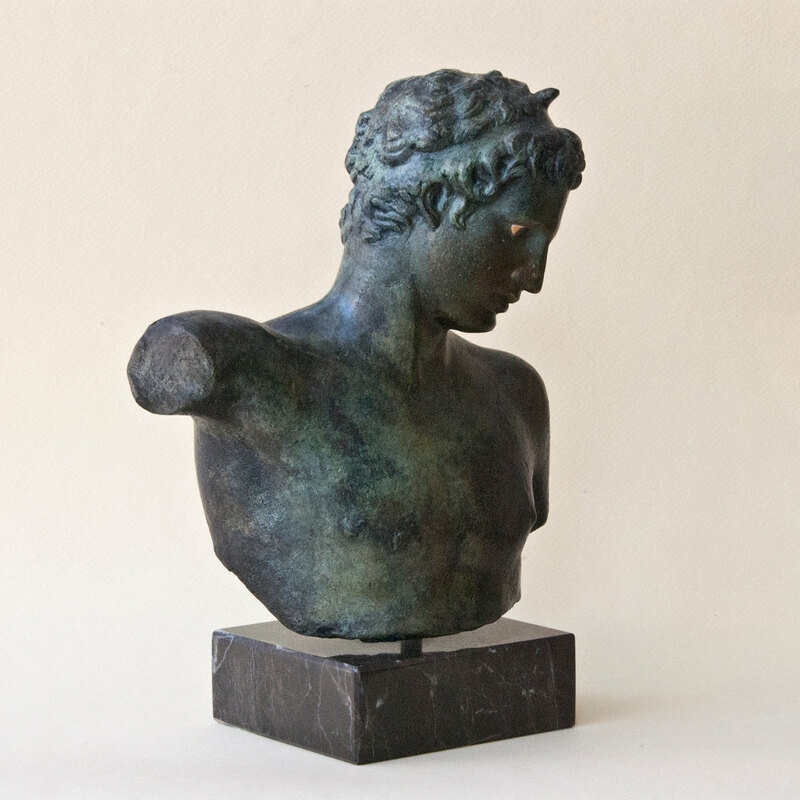 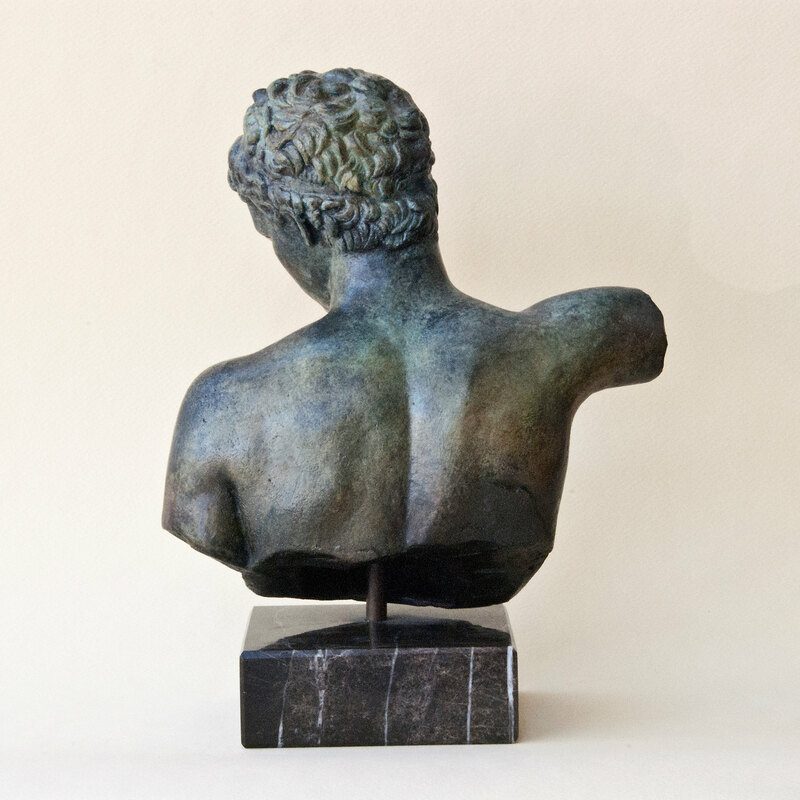 Metal Bronze Man Bust Sculpture Statue Ancient Greek Art, Sculpture Art, Unique Art Gift, Greek Decor, Marathon Boy Statue Museum Replica. 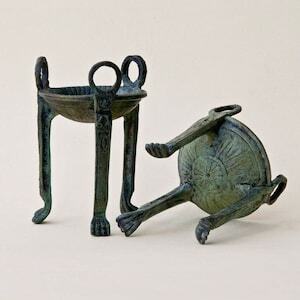 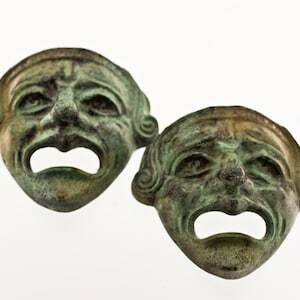 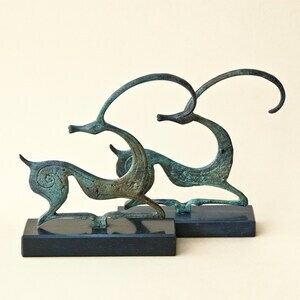 is a Greek bronze sculpture dated to around 340-330 BC. 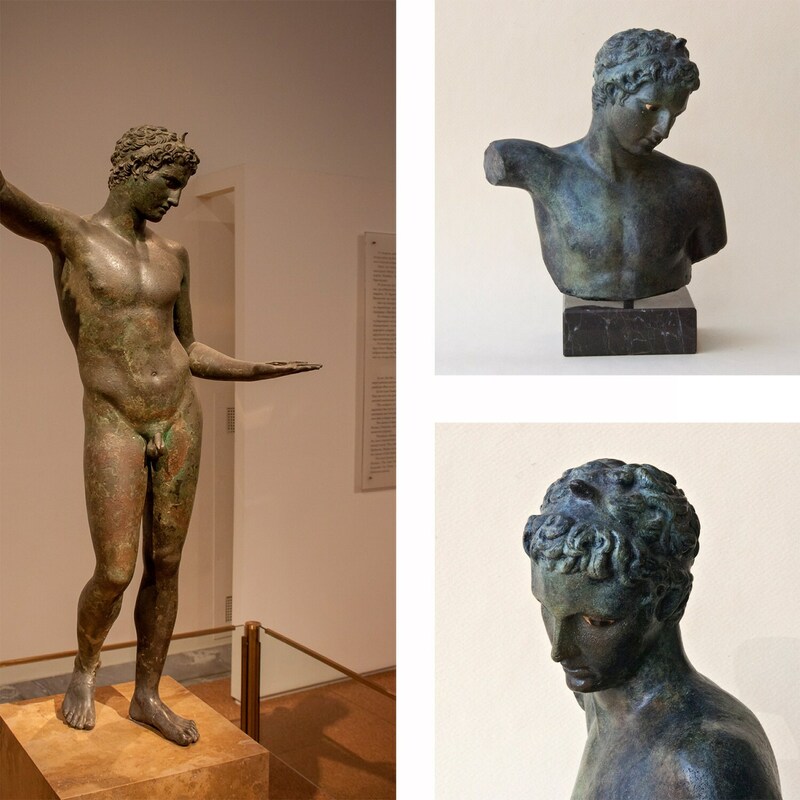 The original full-size bronze statue is in the National Museum in Athens. 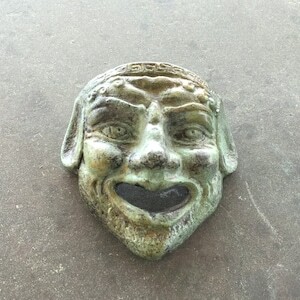 his inset eyes give the figure a wonderful sense of life and expression.